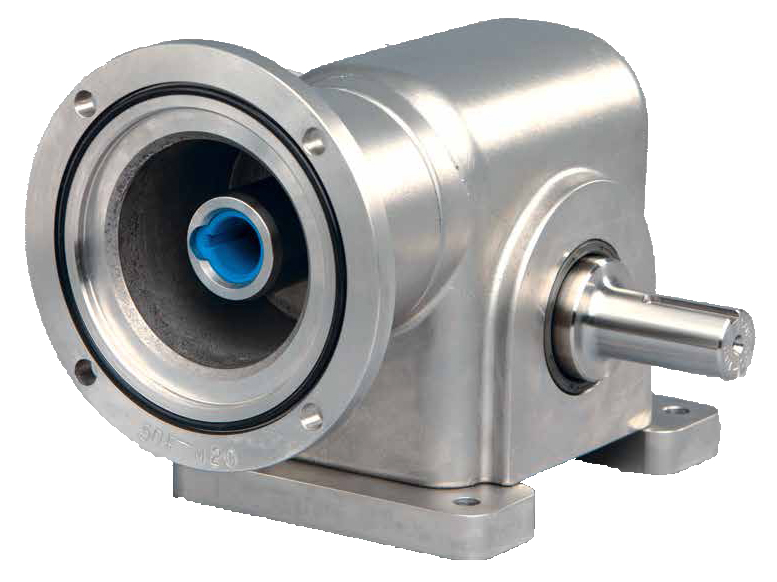 Cone Drive stainless steel gearboxes offer features which cannot be found in today’s market. The anti-fretting motor input shaft connection allows for easy removal of the motor. Two bearings on the input shaft ensure proper motor alignment of the motor to the gearbox. This also helps to eliminate leaks and allows the gearbox to be mounted in any position. Smooth rounded surfaces help to eliminate free-standing water and prevent bacteria growth.